FREE GROUND SHIPPING UNTIL MAY 1 - within the continental US only (free shipping on sled when ordered individually - other items on the order are subject to shipping charges) New for 2019, is the Heavy Duty Residential “Rotor” Sled featuring the Rainbird 3/4" Professional Grade Rotor Head. The sled base is laser cut from 3/16” steel plate and formed into the most durable sled base on the market! 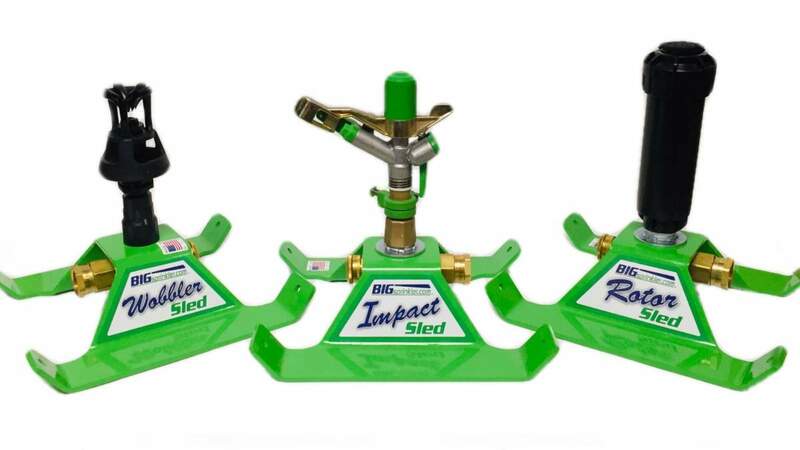 Weighing in at a robust 5 pounds, this new sled base will stand the test of time and allows for strength and stability while the sprinkler is operating. In addition to the already durable construction, the sled is available with a durable brilliant green powder coat baked-on finish or our new hot-dip galvanizing process in which the sled has been submerged in molten zinc alloys to form a non-corrosive, scratch and rust resistant barrier between the steel and the wet environment in which it will be operating ensuring years of trouble free use. Each component in this assembly has been selected for quality including the heavy steel water path components and heavy duty brass garden hose connections! With the rotor sprinkler head, you can have it all -- uncompromising performance, superior distribution, reliability and durability. Rain Curtain™ nozzles maximize performance and coverage. A multi-function wiper seal and tapered riser keep the stem clear of debris, providing long-term protection. Plus, heavy-duty construction makes this rotor one of the toughest in the field. The rotor head is a Reversing full and part circle adjustment 40° – 360°, meaning you can adjust it to a full circle or down to a 40° area. (A non-reversing full-circle only unit is also available). Spray distances are up to 100 feet in diameter! The Rotor sled also features a Flow-Through Base design allowing multiple sled bases to be connected in series! Quality made in the USA!! NOTE: This Rotor head can only be ordered in either "Full Circle Only" or a "Part or Full Circle". The part/full circle version can be adjusted anywhere between 40 and 360 degrees. Please select "full circle only" or "part or full circle" in the drop-down box when ordering. 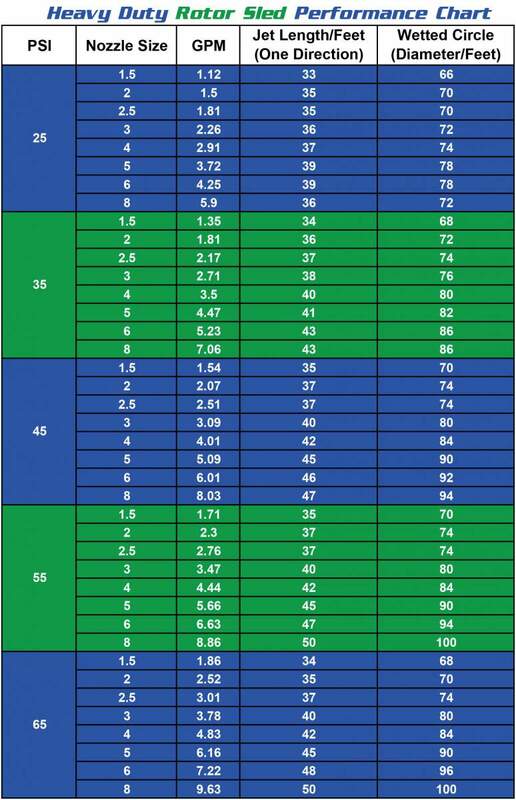 Nozzle Sizes Included: To Cover Flow Ranges from 1 - 10 GPM.